Smart home brand Nest has announced it is making its products available in four more countries across Europe, with Spain, Italy, Germany, and Austria being added to its official retail roster. From February 15, customers in the above regions will now be able to buy the Nest 3.0 learning thermostat (249 euros), the Protect smoke alarm (119 euros), and the company's indoor and outdoor cameras (199 euros). Nest products can be pre-ordered now from Amazon, local retailers, and select energy suppliers. Now that we're in four more countries, twice as many European homes have the chance to become Nest homes. We also plan to make our products available through even more energy, insurance and telco partners, as well as enlist the help of thousands of Nest Pro installers. So getting and installing Nest products, and connecting them to Works with Nest products, will be simple. The latest market expansion will be a boost to Nest. The company's products are used in homes in over 190 countries, but were previously only officially sold and supported in seven. The last market rollout occurred in September 2014. 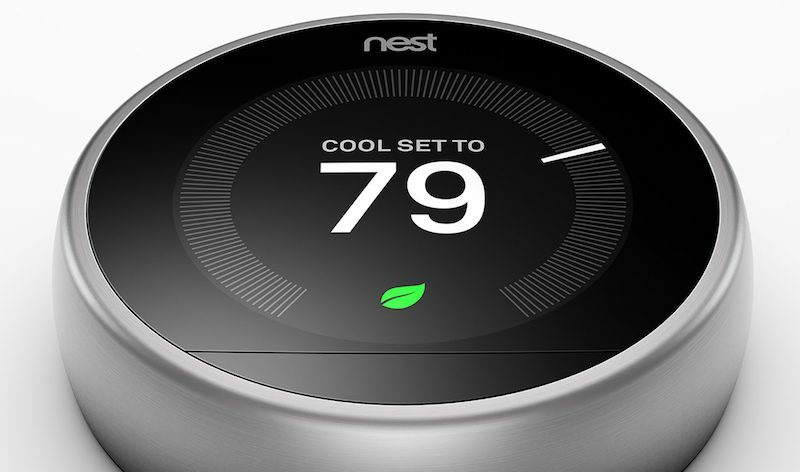 Nest says it will continue to expand into more countries as demand continues to grow. Can someone please explain why HomeKit is so important? Sure, it would provide some nice integration features, but my Nest thermostats and Protect alarms work perfectly as they are. The Nest app is great and the Amazon Alexa integration works nicely as well. Nest products are great! Really wish HomeKit support will be available at some point though. Nest makes some nice products. Some say no Homekit/No Buy. I couldn't care less about Homekit. I have a few Nest products. Really find them very good. The reason I don't want home kit: Apple Music. If you've ever wanted a bigger reason why you shouldn't want "everything in one app" it's because of that. I have zero confidence in Apple to supply a coherent experience from 2016 onward. Enjoy having everything moved around a couple months. Or when apple decides you need to be greener and buries your thermostat controls behind five layers of interface. I see your point, but to me, there's a huge difference. HomeKit is a framework that can be accessed via 3rd-party apps, whereas Apple Music is an Apple service that can only be accessed via an Apple app. That means if Apple hides your thermostat behind five layers in their native "Home" app, you're free to use any of the other 3rd-party applications that have the same ability to access/control the HomeKit framework as Apple's app, like Elgato's Eve app (or the Connected Sense app). Actually, until iOS 10 came out last year, 3rd-party apps were the only way you could access/control HomeKit -- Apple didn't have an app that did HomeKit until then. Apple's already had the "courage" to stop supporting new HomeKit features when using the 3rd-gen AppleTV as a hub. New features require the latest AppleTV. So what you're talking about has already happened. AFAIK, 3rd-gen AppleTV owners are fine and didn't lose any functionality -- they just can't use any new features until they get a new AppleTV. I have a nest but find it very lacking. Where is the home kit support? Where are the external remote thermostats? Seems like there are newer option available from other companies. IMO google really dropped the ball with nest.